Stocks fell on Thursday as the Dow Jones industrial index dropped 300 points, and a further 100 points later on: a 400-point total drop, as the stock market retreated following Wednesday's bullish dynamics, Investor's Business Daily reported. However, the Dow Jones suffered the hardest blow, as it dived 1.76 percent. 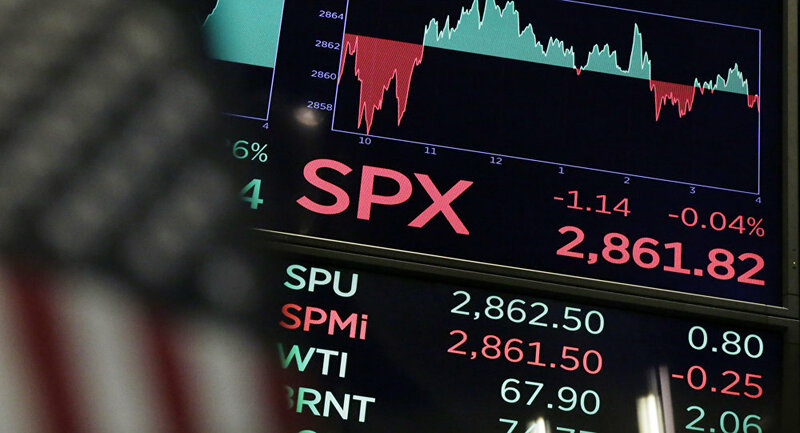 Other major indices, such as the S&P 500 and the NASDAQ Composite, fell by over one percent. The stocks have remained under pressure throughout December, amid traders' concerns that the Federal Reserve would hike interest rates. Other factors that contributed to the anxieties were the US-China trade row, instability in US President Donald Trump's administration and the partial closure of the US government. Part of the US federal government shut down last week after Congressmen failed to come to terms over the projected $5 billion in budget funds for President Donald Trump's border wall, marking the third government closedown this outgoing year, with all the three involving tensions over immigration.